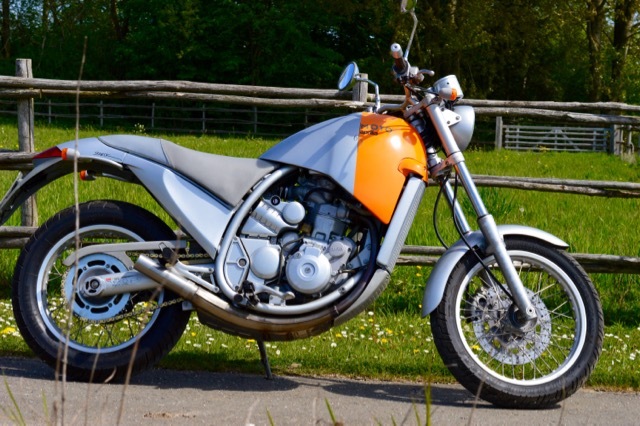 It was quite unusual for Aprilia to hire an in-house designer to help them launch a radical new model. 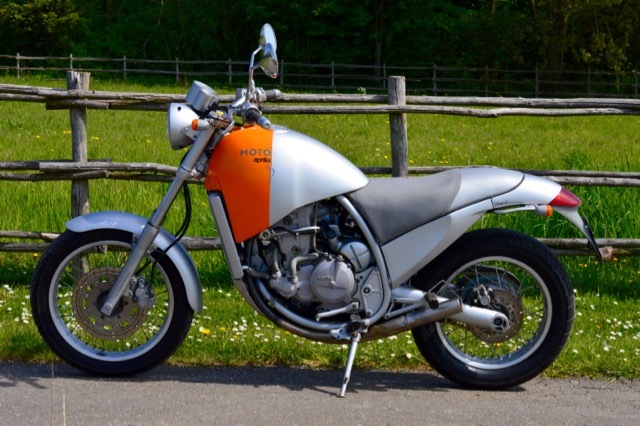 Philippe Starck wasn’t even Italian, nor did he study in Italy, but that couldn’t stop the French designer and motorbike fanatic to create one of the most remarkable designs in motorcycle history: the Moto 6.5. 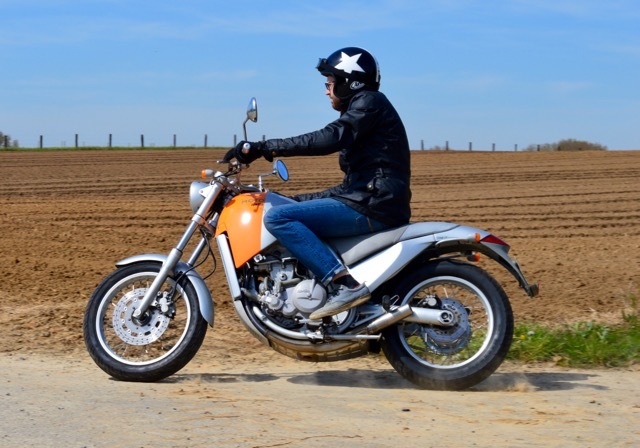 It was one of the first motorbikes that actually reached a totally new segment in the market: people who were not really interested in motorcycling. Many car-owning, loft-living, design-attracted romantics immediately fell for this extra-ordinary creature. 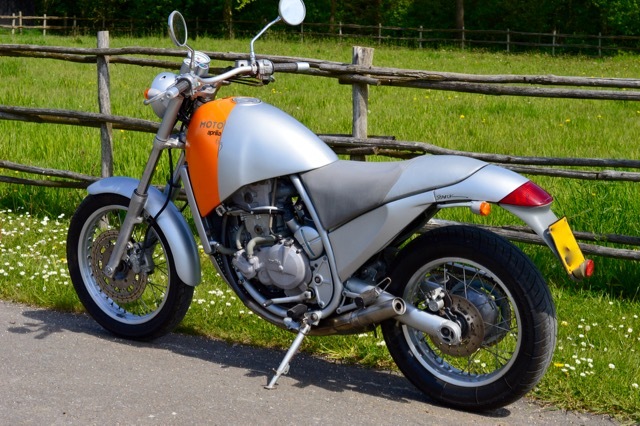 The Moto 6.5 uses the ultra-reliable 5-valve Austrian Made Rotax engine, which also powered the Pegaso. 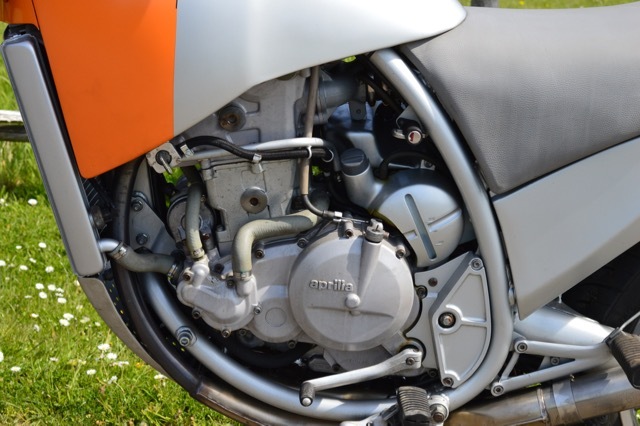 The engine is neatly tucked away in the swirling frame and together with the bodywork, seat, handlebars, clocks and indicators forms a special cameleon-like osmosis with the rest of the bike. 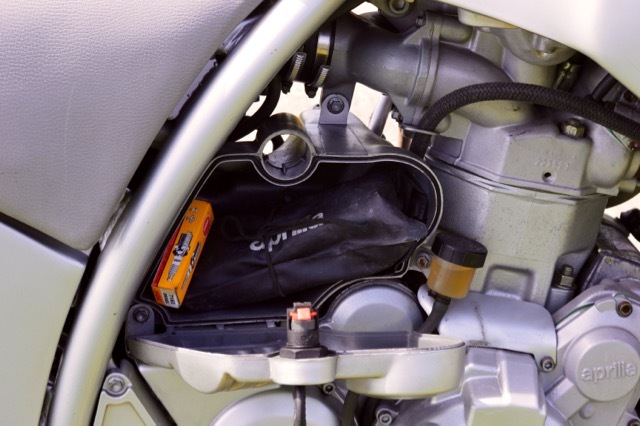 Only the Orange front section of the fuel tank is distinctively accentuated, and was also available in Black or Cream. 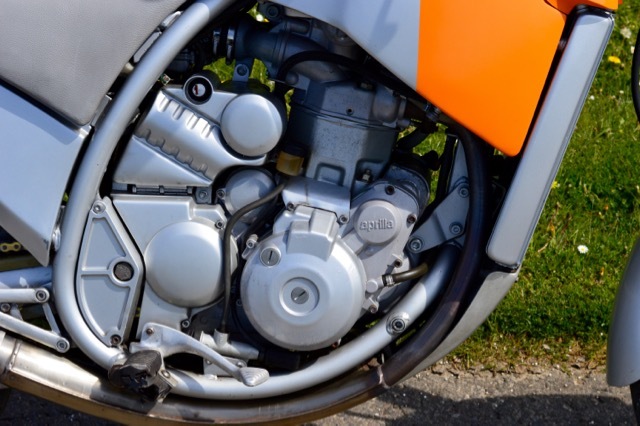 The Moto 6.5 is well built, with comfortable Marzocchi front- and rear suspension. The single disc brake proves more than adequate and the dry weight of only 150kg makes it a very lively and manageable bike for commuting. 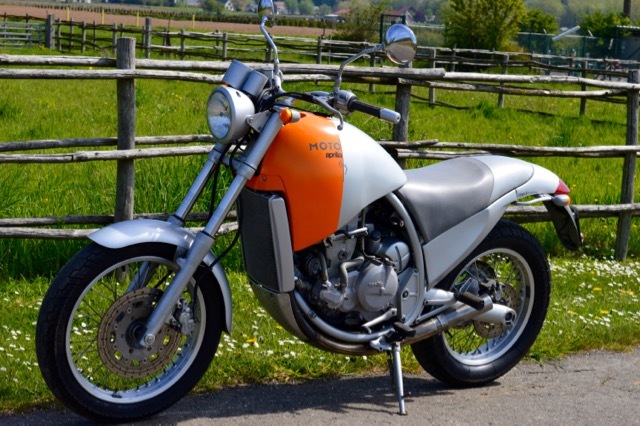 This 1997 Orange/Grey Moto 6.5 comes from a long-term (10 years) lady owner who had the bike serviced regularly at an Antwerp motorcycle workshop. 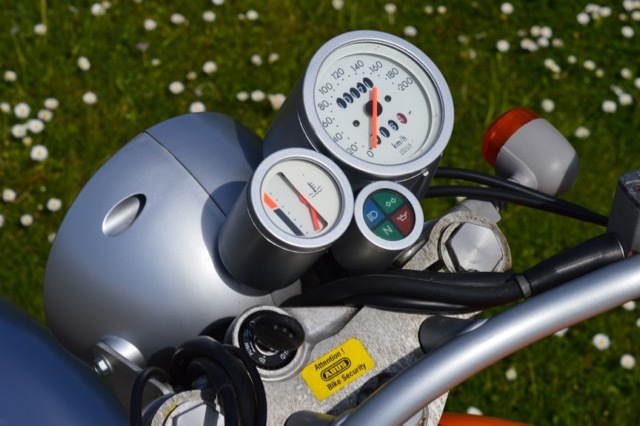 The Moto 6.5 has Belgian documents and CoC, as well as an original toolkit and user manual. She comes with a new battery and a fresh service (oil+ oil / air filter change and new spark plug). The paintwork and seat are very nice and bright. The tires have good thread. 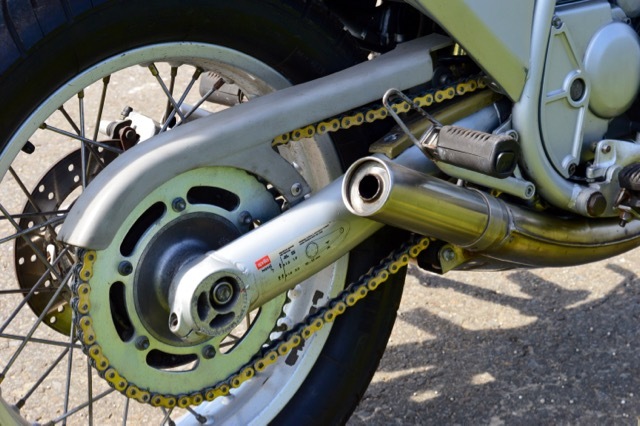 I had the fork stanchions re-hardchromed and put new seals and oil in the fork. Also I have renewed the front brake pads (they were oily because of the fork seal leakage) and refreshed the brake fluids. Off course this is an almost 20 year old motorcycle, so there are some signs of usage and wear, but generally she is in very good condition! She starts on the button and runs and drives smoothly. A unique opportunity to own a low-mileage Moto 6.5! Wouldn’t you like to put this bike in your living room after a nice sunny ride on back-country roads?